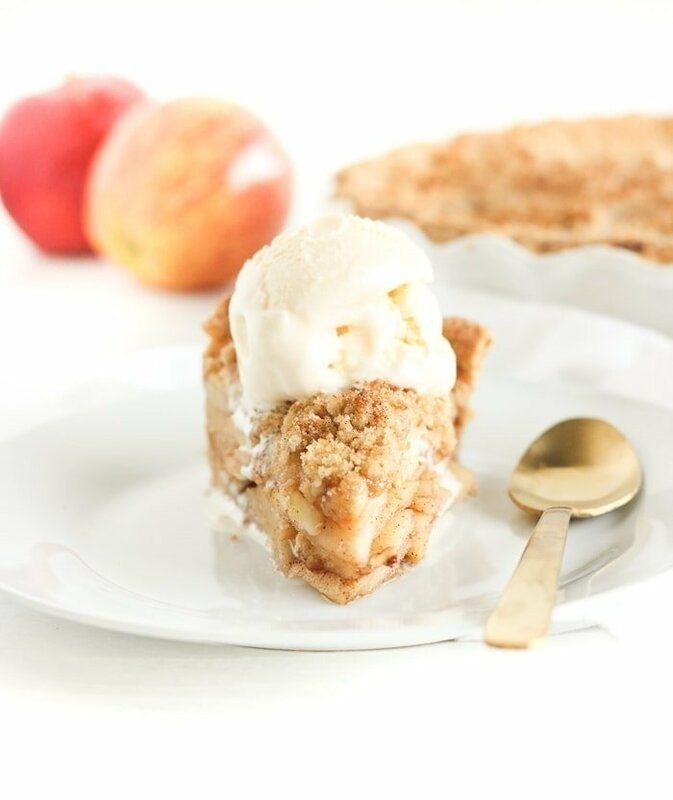 Apple crumb pie is my dad’s favorite dessert. He’s not a big cake person, so on his birthday, my mom always makes him apple crumb pie. When it came to Thanksgiving, we always knew what my dad’s vote was in terms of pie. But my Aunt Debbie made an amazing lattice apple pie, too. Our solution? Make both. Come Pie Night (the night before Thanksgiving where we make ALL the pies), nobody’s favorite gets left out, even if it means making 20 pies. We have actually had close to 20 pies before. 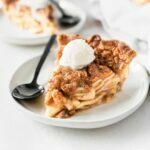 I never really liked apple pie very much until recently, so I never ate either of the apple pies, but now I’m a fan of apple crumb pie over a lattice top. Because crumb topping. What dessert isn’t made better by crumb topping? None. 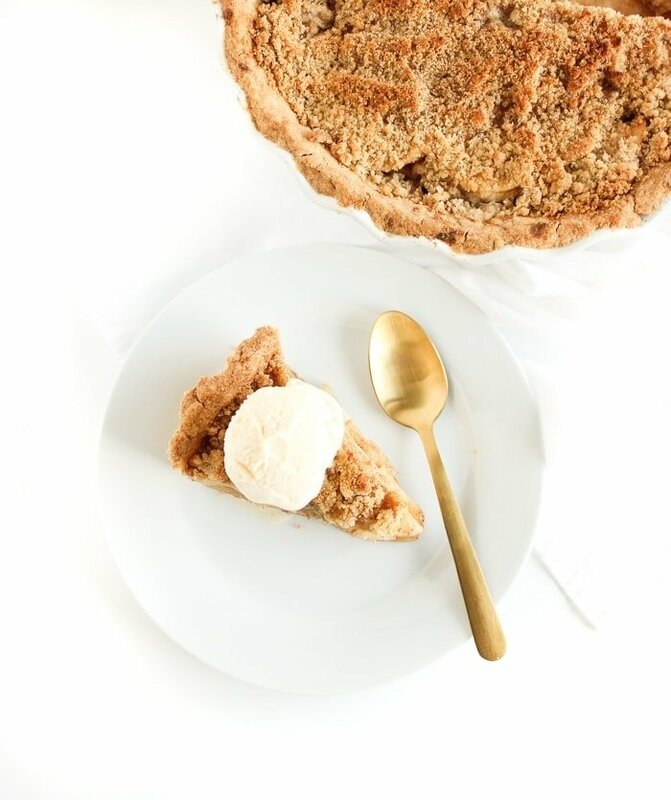 This apple crumb pie has plenty of the good stuff sprinkled over the top of layers of juicy, cinnamon-y apples and a flaky, perfect whole wheat pie crust. 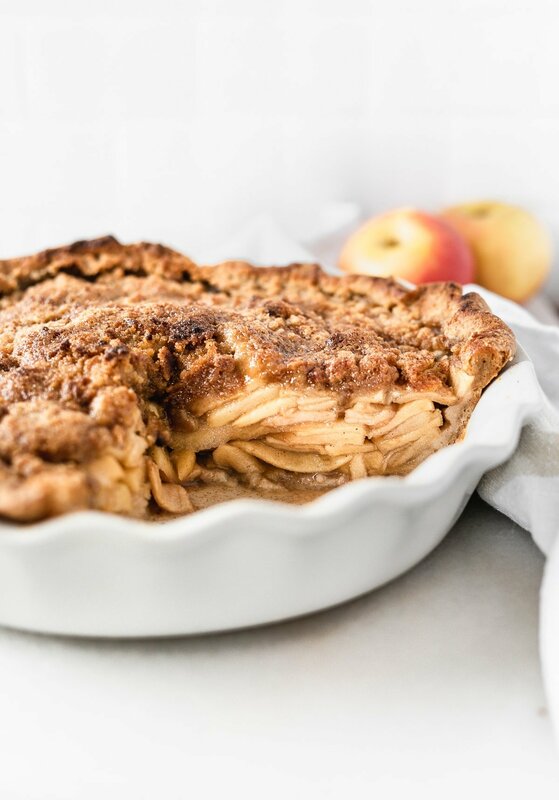 It’s truly a delicious pie recipe, even for people who don’t like pie that much. It’s even better served warm with a scoop of vanilla ice cream. Of course, when it comes to Thanksgiving, pies are made the night before, so they aren’t heated. And with all of those different pies, ain’t nobody got room for ice cream, so a dollop of homemade whipped cream works very nicely. 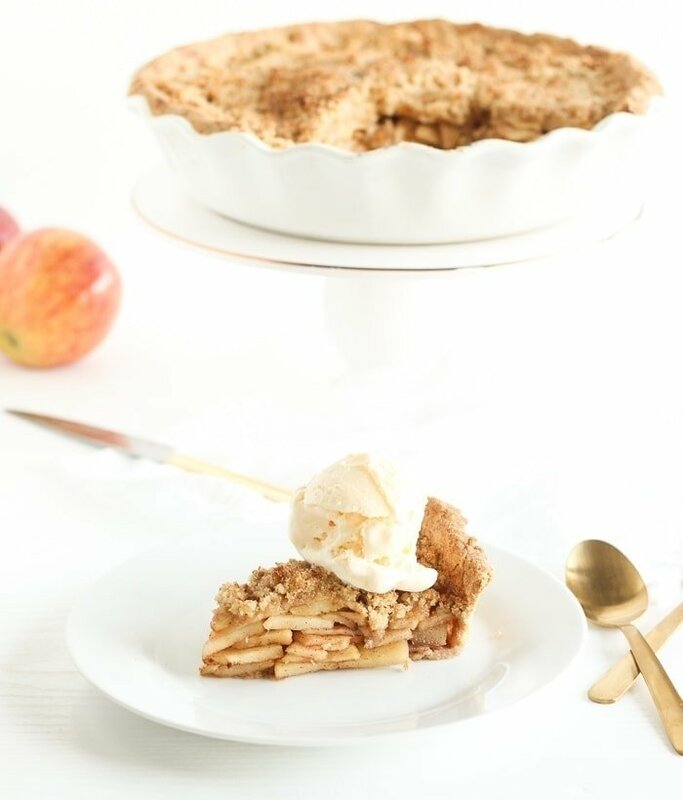 When it comes to apple pie, which team are you on? Crumb or lattice? 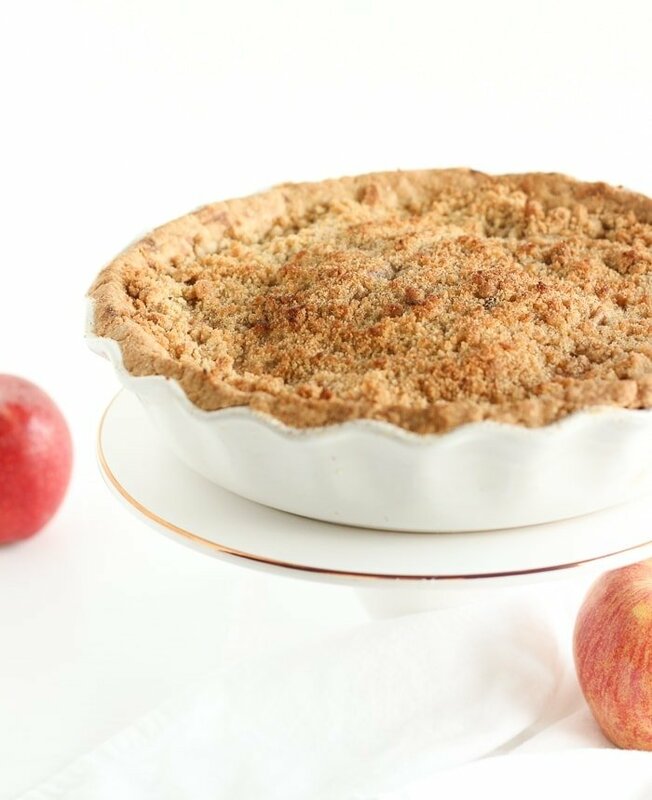 Place pie crust into the bottom of a 9″ pie plate. Thinly slice apples no more than 1/4″ thick. Place in a large bowl and toss with cinnamon, nutmeg, and sugar. Tightly layer apples on top of the pie crust. To make the crumb topping, stir together brown sugar and flour in a small bowl. Using a fork or pastry cutter, cut butter into flour mixture until large crumbs are formed. Sprinkle crumb topping over apples. Bake pie at 450°F for 10 minutes. Turn the oven down to 350°F and continue baking until top is golden and filling bubbles, about 45 minutes. *You can use a mixture of apples. 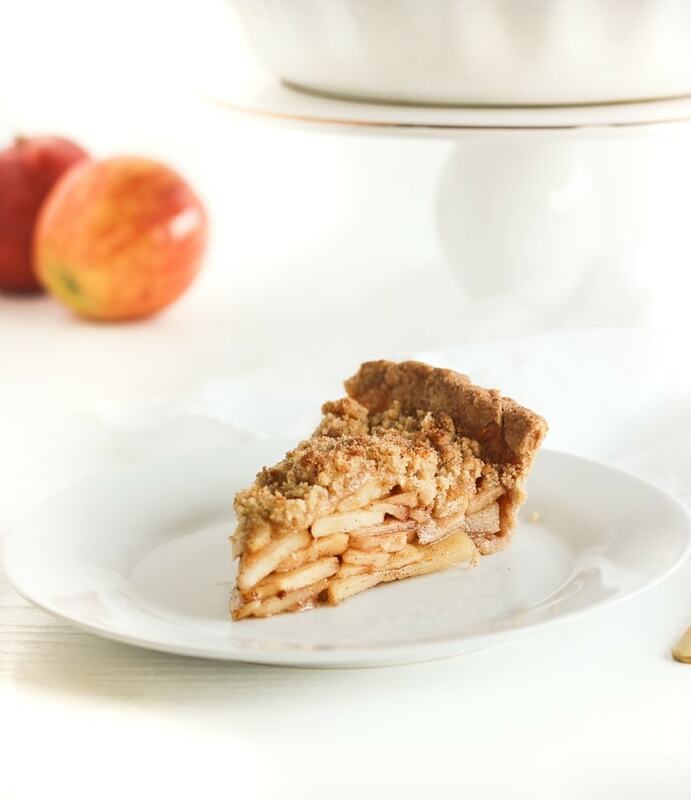 Our family likes Rome, Macintosh, Honeycrisp, Pink Lady, and Granny Smith varieties for pies.